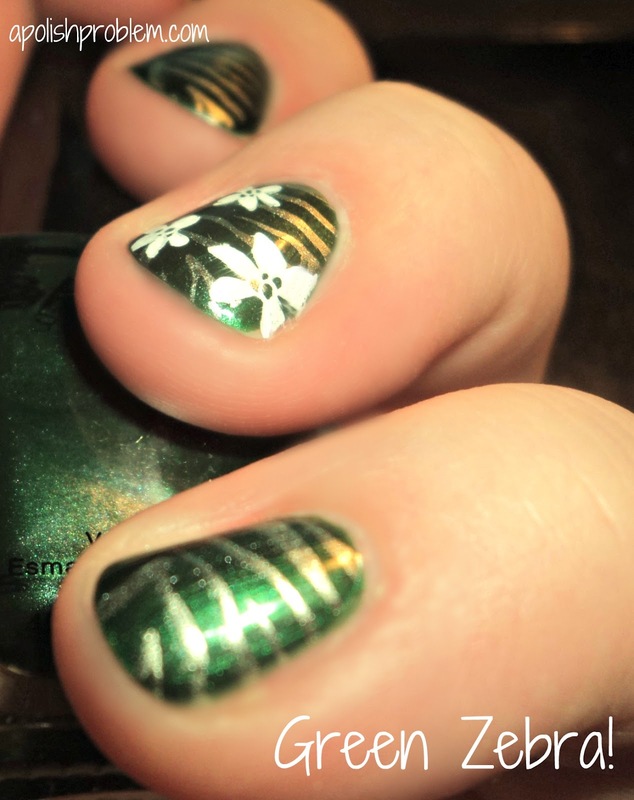 A Polish Problem: Green Zebra! I think I may like this one even more than the inspiration (which has been a favorite of mine since I did it). This is 2 coats of Date Night topped with ChG Cherish and Konad Special Polish in white and Konad plate m57 for the design. I love the contrast of the foily, light green against the deep emerald of Date Night. Also, I know I used to say it often in the past and then stopped because I stopped stamping, but the polishes in China Glaze Romantique collection are the best polishes for stamping outside of the Konad Special Polishes. 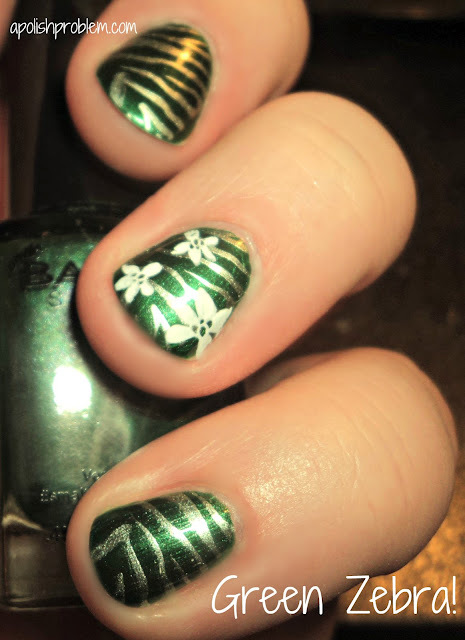 Lately, I've used only Konad Special Polishes, as I find that regular polish has a tendency to be too thin or doesn't adhere as well to the nail. However, the polishes in the Romantique collection are perfect for stamping, even though I really don't like them to use for a manicure. I still see the Romantiques on China Glazes website, so they still should be readily available if you are looking for some great polishes for stamping. All polishes in this post were purchased by me. The above links link back to posts within this blog and are not affiliate links. great nail art!!! i'll try it! !